All of our quality chocolates are available, packaged to your choice, in elegant boxes. Add a wax seal initial to one of our higher quality boxes to give your favor a personal touch. These gifts have been a favorite for weddings, engagement parties, and other social events, both formal and informal. Our packaging comes in an array of colors and sizes. Please give us a call to discuss your ideas. In a lighthearted vein and perfect for a Sweet 16 or any birthday party, Bar/BatMitzvah, graduation, anniversary, shower, or any special occasion. 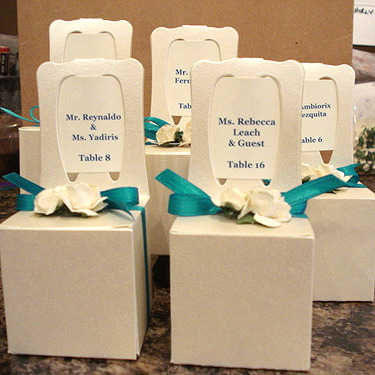 These favors come in a wide variety of different shapes and sizes. We have whimsical novelty chocolates that will compliment and personalize any event. A great way to say "welcome" or "thank you" at any formal or informal gathering. Make your business meeting, anniversary or social event just a little different by adding one of these favors to each place setting. This is a simple favor that comes in limited colors but allows even the smallest of budgets to include a gift that makes your guests feel special. cLICK "here" TO VIEW SHOP OUR FAVOR SELECTION. Visit us on Facebook for more favor images!